of Akron, at the age of 76 on January 18th, 2018. Dearest Husband of Nancy V. (nee Carroll) Frey; whom he married on September 5th, 1964 at the Kenmore Presbyterian Church in Kenmore, New York. Loving Father of Valerie (Tony) Ansuini, Christopher (Kim) Frey and Stephen (Kim) Frey. Dear Brother of Leon Frey and Karen (John) Bugansky. Loving Grandfather of Taylor and Ryan Ansuini, Alexander and Jonathon Frey, Savannah and Spencer Frey and Cole, Isabel and Mia Ichida. Visitation Monday 3-7 p.m. at the BERNHARDT FUNERAL HOME, LLC., 130 Main St., Akron (716-542-9522). Services will be held at Akron First United Methodist Church, 7 Church St., Tuesday at 11:00 a.m.
Burial at Acacia Park Cemetery. Mr. Frey was Past President of the Finance Committee and a active member of Akron First United Methodist Church. 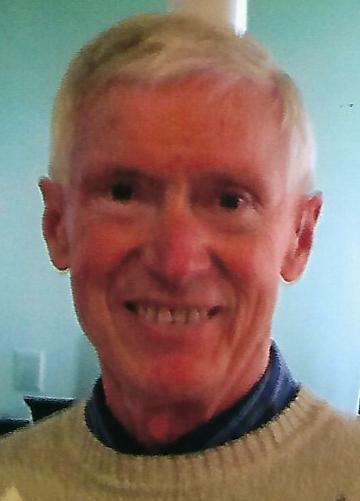 He was a Graduate of SUNY @ Brockport, Class of 1963 with a Bachelor's Degree in Education. He was a Phys. Ed. Teacher and Coach in the Oakfield-Alabama School System for several years and also coach Youth Sports in the Akron area. During his summers he worked as a House Painter, painting several houses in the Akron area.